Move Realty Wentworthville, Your Local Real Estate Agent founded in April 2013, is like all the best characters in the greatest stories – born of humble beginnings. 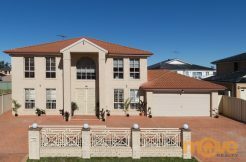 Located in the most highly visible hub of western Sydney suburb of Wentworthville, the team at Move Realty offers its services as your local Real Estate Agent. As a your local Real Estate Agent, Move Realty Wentworthville is ever ready to assist you with the sale of your home or managing your investment property. Move Realty has achieved excellent results in the sale of residential as well as commercial properties in and around the area. With a strong professional and experienced team, Move Realty is determined to provide a seven star service to its clients in Wentworthville and it’s surrounding suburbs. Key to the success of the business at Move Realty Wentworthville has been the culture within the organization. Our team shares a passion for Sydney – we love its shops, clubs, cafes and restaurants, a diverse mix of friendly people from many ethnic backgrounds, lovely character homes featuring massive gardens and the growing number of apartments, townhouses and villas. Reputed schools, universities and educational institutions are a huge attraction to the area. Many homes are in the selective school zones and well known and prestigious private schools. For that reason the Sydney suburbs tends to be a solid family suburb and those who live here often want a backyard for their children to play. With the unpredictable rise in property prices, many newcomers to the property market can’t afford to buy and Move Realty Property Management is adept at seeking out homes to rent in the area. The office has a great reputation with a strong service ethic and robust systems that ensures landlords and tenants are well-looked after. Move Realty uses state of the art digital technology to market and advertise homes for sale or rent. Our desire to provide our clients with a positive and memorable experience is always at the back of our good old fashioned values matching the technological progress of the day. Determining the best sales method and creating the most-effective marketing campaigns with the negotiation skills of the well-educated and experienced professionals to achieve the best price outcome for it’s clients, sets Move Realty apart. An exclusive agency is the best and most effective way of sales listing for the seller and responsibility with appraisal and pricing information. Total commitment and a Seven Star Service. Excellent written feedback, weekly and daily updates if necessary. 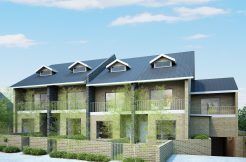 Extensive use of scheduled open homes allowing easy access for buyer inspections. Constant marketing reviews from the team. Excellent marketing exposure i.e. internet, window displays, newspaper ads, direct mail programmes, open days, flyers, signs etc. Computer-matching of the property and buyers. Data base contacts ebrochures and email newsletters. Move Realty’s powerful website will expose your property 24 hours a day, 7 days per week to Local, National and International buyers. Flexibility – just one point of contact for you. One Listing Agent co-coordinating all interested buyers, encouraging competition between buyers and multiple offers on the property. Contact us for a free market appraisal. Wentworthville, Wentworth Falls in the Blue Mountains and, Wentworth in far western New South Wales, were named after the Wentworth family. A land grant of 2000 acres (8 km²) in this area was made in 1810 to D’Arcy Wentworth, the father of William Wentworth, the famous Australian explorer, barrister, newspaper publisher, politician and landowner. Another pioneer to the area, William Fullagar established the Star Inn on the corner of Ettalong Road and the Western Road (now the Great Western Highway). Fullagar also opened a cattle saleyards which became one of the principal ones for the colony. His family’s estate “Essington House” is now the site of a Christian school. Fullagar Road is named after him. In the mid-1800s, a land boom attracted people into the area, land was subdivided for housing and small farms. Wentworth’s holdings were sub-divided – amounting to 600 lots. The railway line had been put through on its way to Penrith, in 1864, but it was not until 1883 that Wentworthville got its own public railway station. Originally the railway station was called T. R. Smith’s Platform but was renamed Wentworthville two years later. Wentworthville has two shopping precincts. The larger, older precinct sits on the Holroyd side of Wentworthville railway station (the other side of the railway is part of Parramatta City Council‘s local government area and is mainly zoned residential). A Supa IGA (formerlyFranklins) dominates Wentworthville Mall Shopping Centre. The newer commercial centre is on the Great Western Highway. It is dominated by Woolworths. Initially Woolworths operated in the main shopping precinct but new premises were obtained at their present location in the late 1980s. (An Aldi sits on the other side of the Highway (which is part of South Wentworthville)). The most common ancestries in Wentworthville were Indian 17.7%, Australian 12.7%, English 12.0%, Chinese 7.4% and Lebanese 4.2%. 41.8% of people were born in Australia. The most common countries of birth were India 17.4%, Sri Lanka 7.0%, China (excludes SARs and Taiwan) 4.5%, Philippines 2.1% and Lebanon 1.9%. 37.4% of people only spoke English at home. Other languages spoken at home included Tamil 10.1%, Gujarati 5.2%, Hindi 4.8%, Arabic 4.7% and Cantonese 3.7%. The most common responses for religion were Catholic 25.1%, Hinduism 23.6%, No Religion 10.1%, Anglican 8.6% and Islam 5.5%.